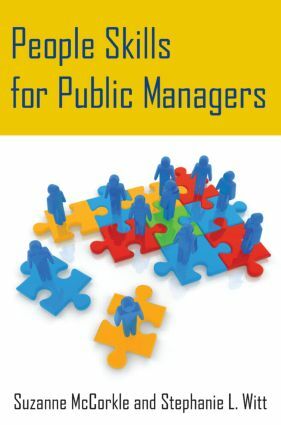 This book fills the need for a communication-based, public sector framed book. The authors combine just enough basic theory about communication with specific skill development in areas of immediate interest to those who work in the public sector. It also features a strong "practice" orientation, with plentiful boxed applications (Insights from the Field, Skill Development boxes, Case Studies). It concludes with an especially useful summary chapter that describes the ten essential skills for successful communication. Case: Is the Behavior Problematic? Final Check: Does the Content Meet the Audience's Needs? Suzanne McCorkle directs the Dispute Resolution academic programs and is a professor in the Public Policy and Administration department at Boise State University, USA. She formerly served as Associate Dean and Dean of the College of Social Sciences and Public Affairs. Dr. McCorkle is the author of Mediation Theory and Practice and Personal Conflict Management. Her consulting and research interests involve workplace conflict and its remedies. Stephanie Witt is a Professor of Public Policy and Administration at Boise State University, USA. Her books include Cities, Sagebrush and Solitude (co-edited with Dennis Judd) and Urban West Revisited Governing Cities in Uncertain Times (with James B. Weatherby). She has previously held positions at Boise State as Associate Vice President, Associate Dean, Department Chair and Director of the Public Policy Center. She is a Carnegie Foundation for the Advancement of Teaching "Idaho Professor of the Year" (1998).